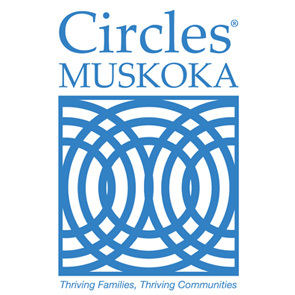 Circles™ Muskoka is a community-based initiative that creates relationships across economic boundaries. It matches people of low-income who have attended the Getting Ahead program with people of middle and upper income who have attended Bridges out of Poverty training. Circles stems from an innovative model based on a body of research that suggests in order to help people out of poverty relationships need to exist within the wider community giving lower income families social networks to support and thrive. – put into practise the theories learned in Bridges out of Poverty and Getting Ahead. The Circles™ approach has been used in over 100 communities and districts in the US and Canada. It is a proven and credible initiative that makes real and on-going change for individuals and communities. Circles™ will be launched and piloted in Huntsville in the Fall of 2016 and will follow in Bracebridge and Gravenhurst over the next five years. Allies – community members trained in Bridges out of Poverty who support and mentor Circle Leaders in the journey. Allies engage in an intentional, caring relationship with an individual or family working to become self-sufficient. Weekly community meetings of Circle Leaders and Allies and other interested community members to provide support and networking opportunities over a meal. Allies also meet monthly on an individual basis with Circle Leaders. Big View meetings are held once per month and feature a far-ranging discussion of the causes of poverty in the community and how to address them thereby creating systemic change along the way. There are many ways to get involved in Circles™. Please contact Liz Angell by using the information on this page to contact YWCA Muskoka.